We are extremely proud of our creation, EMOTION in DIAMONDS. 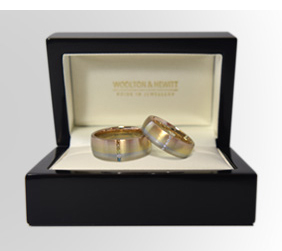 This stunning design incorporates an equality band to signify the bond between two people in love. And the diamonds are very special. 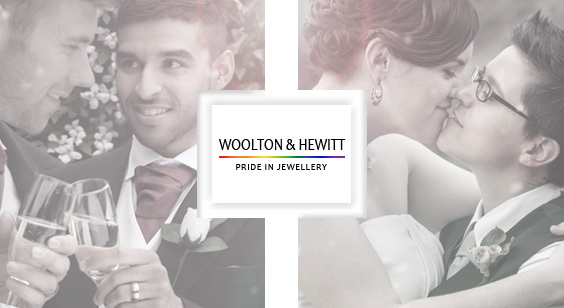 It is set with six colour enhanced diamonds representing the LGBT rainbow: red, orange, yellow, green, blue and violet. The total weight of the treated diamonds is 0.09ct. Each piece is made to order, lustrous with the gorgeous sheen of a brushed finish. The top surface is flat, the edges are rounded, and the inside is gently curved for a comfortable fit. The width of the ring is 5mm and the depth is 2.0mm. You can choose from three precious metals, palladium 950, 18ct white gold or platinum 950, and either a brushed finish or high polish (please note which you prefer in the Comments box). This is a subtle and elegant engagement ring to mark a true milestone in your lives - a symbol of pride. Falling in love is EMOTION.